The ongoing stand-off between the Central Bureau of Investigation (CBI) and West Bengal Chief Minister Mamata Banerjee has its roots in two alleged ponzi scams associated with the Saradha Group and the Rose Valley Group. 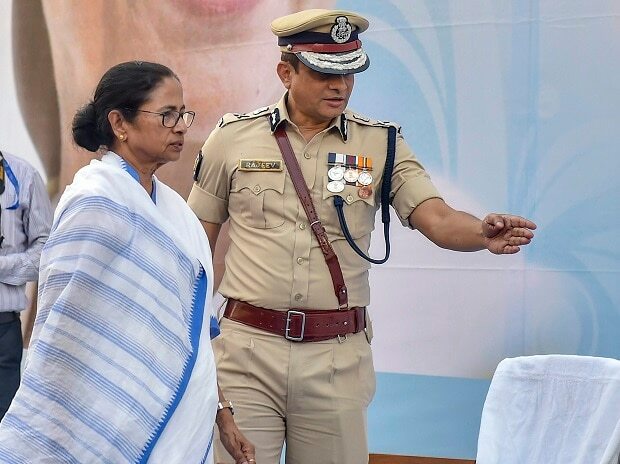 The controversy sparked after CBI attempted to question Kolkata police commissioner Rajeev Kumar in connection with the scams. The Supreme Court on Tuesday asked Rajeev Kumar to appear before the CBI and faithfully co-operate in the probe into the Saradha chit fund scam and Rose Valley ponzi scheme but said he must not be arrested. What is the Saradha chit fund scam? Saradha Group, a consortium of over 239 private companies, was a chit fund that had been operating in West Bengal and its neighbouring states since 2000 and reportedly mopped up Rs 4,000 crore from over 1.7 million depositors. Depositors were told that they could invest as little as Rs 100 and get high returns of up to 50 per cent every year. Since no asset was created, the scheme collapsed when new investors dried up. Sudipta Sen, the chairman of Saradha Group, is alleged to be close to the ruling Trinamool Congress in West Bengal. Saradha collapsed by April 2013 and Sudipto Sen along with his trusted aide Debjani Mukherjee fled from West Bengal. Thousands of Saradha collection agents assembled before the TMC headquarters and demanded action against Sen.
Kumar, a 1989 batch IPS officer, along with his team had then arrested Sen along with Debjani from Kashmir on April 18, 2013, and the state government formed a special investigation team (SIT) under him. The SIT had arrested the then TMC Rajya Sabha MP and journalist Kunal Ghosh for his alleged involvement in the Saradha chit fund scam. A CBI probe into the chit fund scam was ordered by the Supreme Court in May 2014 after senior Congress leader Abdul Mannan filed a plea. Several top TMC leaders and MPs like Srinjoy Bose, TMC leader Rajat Majumdar and the then transport minister Madan Mitra were arrested by the CBI. Senior BJP leader Mukul Roy, who was then TMC general secretary, was also questioned by the CBI in connection with the scam in 2015. What is Rose Valley ponzi scheme? The Rose Valley scheme followed the same model as Saradha chit fund scam and duped investors mainly from West Bengal, Assam and Bihar to the extent of Rs 15,000 crore. Gautam Kundu, who headed the firm, was also allegedly close to TMC. The firm had also promised returns in the range of eight and 27 per cent. According to the Enforcement Directorate, several politicians were bribed to let the scam function smoothly. The company financed Bengali movies and even sponsored Indian Premier League cricket team Kolkata Knight Riders before shutting down in 2015. Gautam Kundu was arrested by the Enforcement Directorate in 2015 and is currently in judicial custody. In December 2016 and January 2017, TMC MPs Tapas Pal and Sudip Bandopadhyay were arrested for their alleged involvement in the Rose Valley case. Rajeev Kumar also headed the SIT probe in this case as well before it was transferred to CBI in 2014 on Supreme Court's order.